This beautiful flower is an orchid (family Orchidaceae), Eulophia cucullata. It is quite widespread in Africa (including South Africa) and on Madagascar. It varies in the intensity of coloring but is quite easily recognised due to the shape and size of the flower. 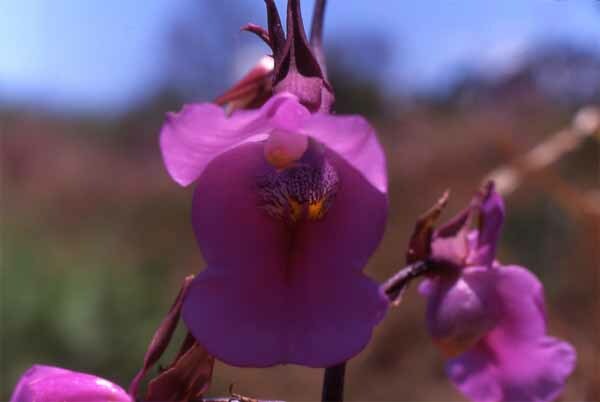 Malawi, although one of Africa's smallest countries, boasts more orchid species than any other African countrytestimony to the country's diversity of habitats. Orchids comprise the most diverse plant family, with over 25,000 species. The genus Eulophia comprises about 40 species. Photograph identified by C. Archer, National Herbarium, National Botanical Institute, Pretoria.